It all started with fictitious character Ricky Ricardo (Desi Arnaz) on the "I Love Lucy" TV series. Today it is not fiction, as it is considered by many to be a true part of American cultural and musical scene! 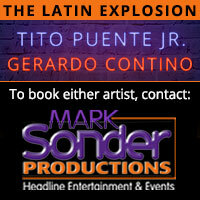 Now Mark Sonder Productions Entertainment brings you two stars in the Latin American world for your events. Real life folks made it a reality, such as Tito Puente whose signature tune, "Oye Como Va" has been covered by Santana and others. 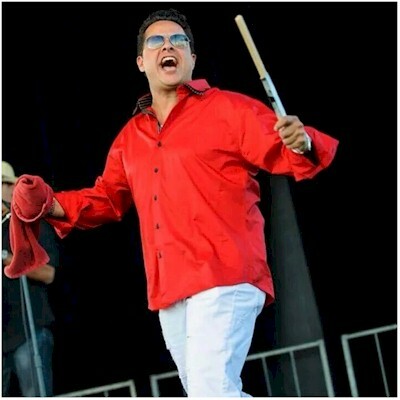 Today that baton has been given to his son, Tito Puente Jr. Tito Jr. is comfortable in clubs, casinos, performing arts centres, with symphony orchestra, on TV, in motion pictures, collecting Salsa music awards, or backed by his 7 or 12 piece orchestra. 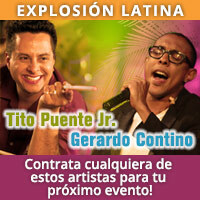 In addition, you need to be aware of Gerardo Contino y Los Habañeros who brings Latin, Salsa, World Music, Cuban, Dominican, Fusion and Puerto Rican music to life! 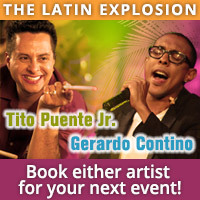 Working with Rock and Roll Hall of Famer, Max Weinberg (E Street Band drummer for Bruce Springsteen), in the Rainbow Room NYC every month, Cuban born Contino has also performed at the Kennedy Center in Washington DC and has shared the stage with Oscar de Leon, Roberto Roena, El Gran Combo, Giovanni Hidalgo, amongst others. He will be on tour with Larry Harlow in Japan this Spring. 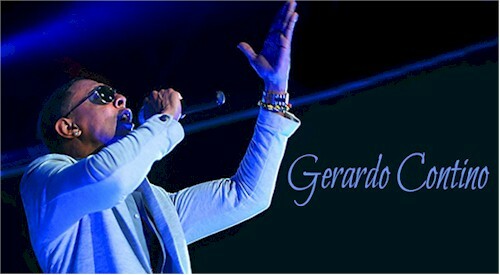 Gerardo can also appear as the opening act for Tito Jr. Gerardo and his band were named Manhattan's Best Band in 2015 by National Public Radio.